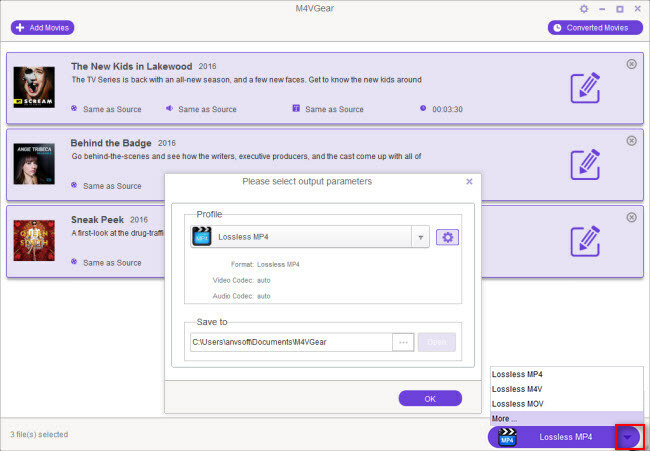 The actual process of converting your DRM-restricted iTunes M4V files is incredibly easy with M4VGear DRM Media Converter which is the fastest DRM Remover in the world that can losslessly remove DRM from iTunes purchased and rental videos at a 20X faster speed and simultaneously keep subtitles and 5.1 audio track. Even if you aren't super computer-savvy, you will be able to figure it out. Then, click the big "Add Movies" button. From there, choose the file from which you want to strip the DRM. You'll be able to see all movies and TV shows from your iTunes Library automatically, and if your collection is quite large, you can use the search tools to drill down and find the specific file you want to convert. This means you don't have to do anything, the software will scan and detect movies and TV shows automatically. If you have a bunch of videos files with DRM that you want to remove, don't worry — M4VGear will allow you to batch convert a whole list of files. This way you can set up a batch process, walk away, and come back to entirely DRM-free library. After that, choose output Format and choose output Path. 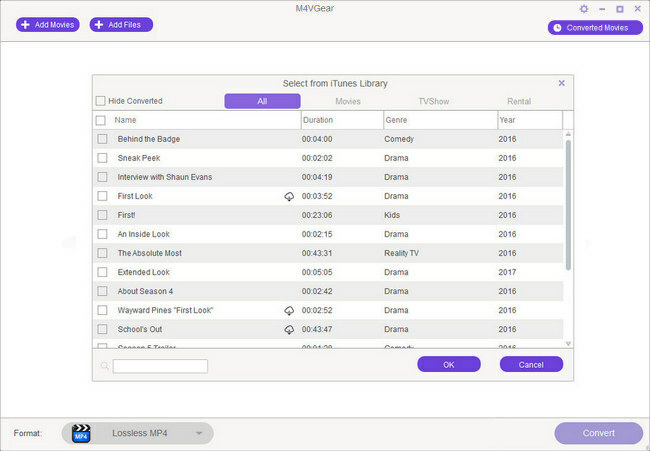 Once media files are added, you can set options for the whole conversion process including selecting output format from the button on the lower right corner. When you set output format as "Lossless MP4", the iTunes videos can be converted at 20 faster speed with AC3 Dolby 5.1 surround, closed captioning (CC) kept. Next, start removing DRM from iTunes videos. The creators of M4VGear promise extremely fast conversions, and the process was impressively quick, taking just a few minutes to work through a 45-mievision show. If you're impatient, you'll definitely love the speed this software can run through an entire library of iTunes movies and TV shows. Last, watch the DRM-free MP4 files on your media players or devices. Once your file is converted, you'll be able to watch it anywhere, and on any device that supports MP4 playback. Also, the program maintains your files' high definition audio and video quality. In fact, M4VGear promises lossless conversions, which means that your 1080p videos will look just as good as the original iTunes versions. It even keeps subtitles and AC3 5.1 audio if they are present in the original iTunes file. Note: M4VGear offers you a one-minute free trial to test out. If you want to process full length of the iTunes videos and are satisfied with M4VGear, you can purchase it from the below button. M4VGear now can be bought at $44.95, $5 off from original $49.95. How to Remove DRM from iTunes Music? How to keep 5.1 audio when removing DRM from iTunes videos? 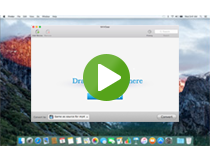 How to Save All Subtitles and Audios When Removing DRM from iTunes videos?